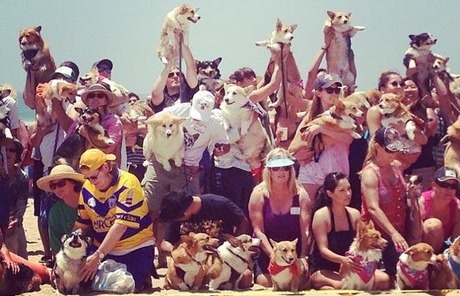 The So Cal Corgi Beach Day group gathers four times a year and it’s time for their spring gathering. 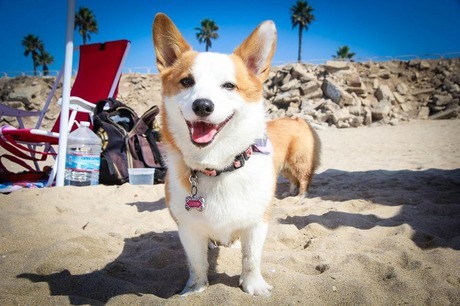 Over 500 Corgis from all over Southern California and beyond are expected to show up at the Huntington Dog Beach on Saturday April 11th for a day of fun in the sun, sand and surf. Founded in 2012, their first gathering drew 15 Corgis, so you can see how much the event has grown over the years and you can imagine why. Corgis are an Internet favorite, and seeing 500+ of these portly little fur balls bouncing around in the sand has got to be one of the most magical events you will ever witness in your entire Corgi-loving life. 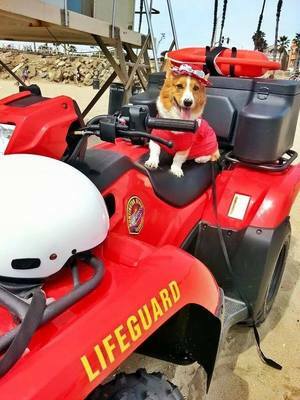 You’ll want to follow them on Facebook, and Instagram and check for the hashtag #SoCalCorgiBeachDay on Twitter to see all the awesome pics! Find out more on their Facebook Event page which already has over 6k RSVPs! There will be lots of merchandise, a costume contest, and photo ops a plenty so don’t miss it!